Create a cloud instance for your cloud – requires pre-configuration of a user account and buckets in the cloud environment. The cloud location and configuration parameters must be provided to the Backup Exec server by configuring a cloud instance using the Backup Exec Command Line Interface (BEMCLI) (see Creating a Cloud Instance for S3 Compatible Cloud). Create a cloud storage device – in the Backup Exec console by using the storage device configuration wizard and providing the account credentials that can access the S3-compatible cloud location. In the cloud environment, create an account for Backup Exec read/write access. The cloud account credentials, known as the server access key ID and secret access key, must be provided in the Backup Exec console to create the storage device. The cloud environment must also have buckets configured for Backup Exec use. Buckets represent a logical unit of storage in a cloudenvironment. As a best practice, create specific buckets to useexclusively with Backup Exec. Each Backup Exec cloud storage device mustuse a different bucket. Do not use the same bucket for multiple cloudstorage devices even if these devices are configured on different Backup Execservers. Bucket names that do not comply with the bucket naming convention will not be displayed in the Backup Exec console during storage device configuration. To create a custom cloud instance for an S3-compatible cloud storage server use the BEMCLI command “New-BECloudInstance”. Launch PowerShell, and then type Import-Module BEMCLI. 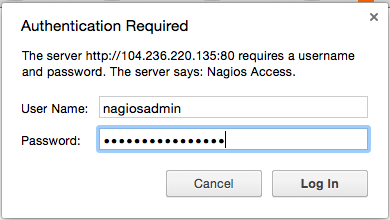 Name: Name of the new cloud instance. Cloud instance name must match BE naming requirement. Instance names can contain letters, numbers, and dashes (or hyphens). Instance names cannot begin with a dash (or a hypen). Provider: Specifies the provider name of the cloud instance. For s3 the provider name is ‘compatible-with-s3’. ServiceHost: Specifies the service host of the cloud instance. ServiceHost should be unique for each cloud instance that is created on the Backup Exec server. Disabled: Do not use SSL. AuthenticationOnly: Use SSL for authentication only. Full: Use SSL for authentication and data transfer also. Note: Backup Exec supports only Certificate Authority (CA)-signed certificates while it communicates with cloud storage in the SSL mode. Ensure that the cloud server has CA-signed certificate. If it does not have the CA-signed certificate, data transfer between Backup Exec and cloud provider mayfail in the SSL mode. Users may choose to opt out of SSL and set SSLMode asDisabled. To confirm the command completed successfully, run the BEMCLI command“Get-BECloudInstance”. The parameters of the newly configured cloud instance will be displayed. Ensure that the ServiceHost points to the correct S3-compatible cloud implementation, the provider name is accurate and the SSL mode is set correctly. If any parameters are not correct, rerun the New-BECloudInstance command with the corrected parameters. 1. On the Storage tab, in the Configure group, click Configure Cloud Storage. 2. Click Cloud storage, and then click Next. 3. Enter a name and description for the cloud storage device, and then click Next. 4. From the list of cloud storage providers, select S3, and then click Next. 6. Click Add/Edit next to the Logon account field. 7. On the Logon Account Selection dialog box, click Add. In the User name field, type the cloud account access key ID. In the Password field, type the cloud account secret access key. In the Confirm password field, type the cloud account secret access key again. In the Account name field, type a name for this logon account. The Backup Exec user interface displays this name as the cloud storage device name in all storage device options lists. 10. Select the cloud logon account that you created in step 8, and then click Next. 11. Select a bucket from the list of buckets that are associated with the server name and the logon account details you provided in earlier screens, and then click Next. 12. Specify how many write operations can run at the same time on this cloud storage device, and then click Next. 13. This setting determines the number of jobs that can run at the same time on this device. The suitable value for this setting may vary depending on your environment and the bandwidth to the cloud storage. You may choose the default value. 14. Review the configuration summary, and then click Finish. Backup Exec creates a cloud storage device. You must restart Backup Exec services to bring the new device online. 15. In the window that prompts you to restart the Backup Exec services, click Yes. After services restart, Backup Exec displays the new cloud storage location in the All Storage list. If the S3-compatible cloud environment is not displayed in the Backup Exec storage device configuration wizard or console, use BEMCLI to ensure the parameters for the cloud instance are correct. Once the S3-compatible cloud storage device is configured in Backup Exec, you can target backup, restore and duplicate jobs to the cloud server. As a best practice, test backup and restore operations should be completed before running regularly scheduled jobs. Backup Exec Data lifecycle management will automatically delete expired sets from the cloud server.